The Raxxess AFG1, Aluminum Blank Panel, Flanged with 1-Space is an attractive and sturdy aluminum, 1/2" flanged blank panel for adding strength to your rack. 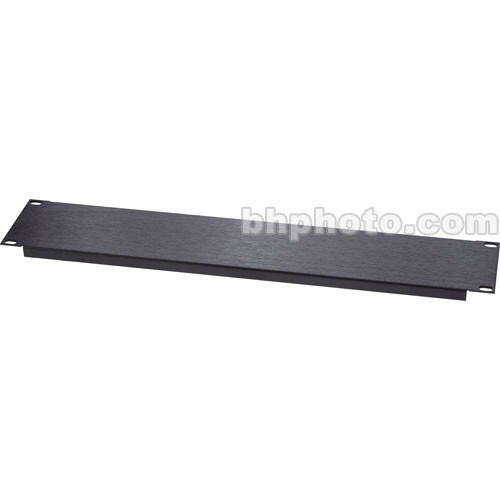 It is easily machined and comes in an attractive annodized brushed black finish. This sturdy .060 aluminum blank panel with 1/2" flange provides additional strength to your equipment rack. The details were not lost on this blank panel, it is made of anodized aluminum with a brushed black finish so it compliments and melts into your existing rack combination. Box Dimensions (LxWxH) 22.3 x 3.8 x 1.2"